Manny Pacquiao: Does He Have The Mental Toughness To Be A Champion And A President? | PinOy SPY! 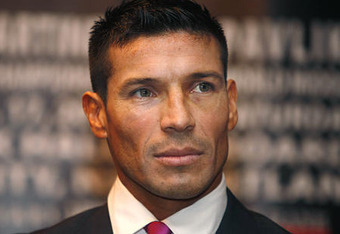 Can one of the finest boxers ever to step into the ring be the leader of a country? the qualities which enable a person win an election and to lead a nation. I have coached a number of many boxers, wrestlers and martial artists. I work with these athletes on improving confidence, focus and mental toughness strategies and techniques. I have also written a number of articles on boxing over the years. I do not think I have ever seen any fighter who with the footwork, power and ring skills like I see when I watch Pacquiao. He is slick and versatile in the ring. His ability to beat bigger and bigger men is an incredible athletic feat. As far as mental toughness goes, the diminutive fighter shows great courage, leadership, focus, resiliency, energy,creativity and a willingness to take calculated risks. He knows about having a battle plan, and yet, he is able to respond creatively and spontaneously when he needs to. 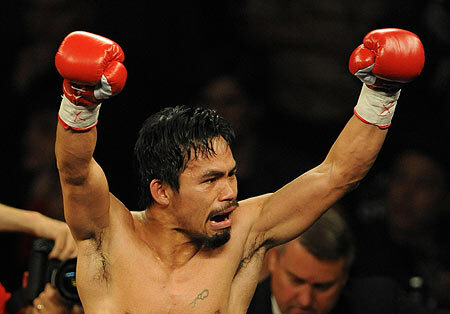 Pacquiao is also wealthy, famous, quite charismatic and a national hero in his homeland. He is a self-made man who knows what it is like to overcome adversity and poverty and elevate one’s life through hard work and dedication. He can be an outstanding role model for the emerging world. He is already a member of congress in his country and he is now an athlete and a man who has transcended his sport and he is positioned to move on to other challenges, if he decides that being a leader of his homeland is what he wants to do. I suspect he will have a few more fights. Perhaps he will step into the ring against Floyd Mayweather, Jr. I believe the champ who now has won eight titles will beat Mayweather who seems reluctant to fight him and who is somewhat distracted by his pending domestic violence case in Las Vegas. I think Pacquiao would handle Mayweather quite easily. His foot speed, punching power and command of the ring will be too much for Mayweather to overcome. Also, Manny has been actively fighting and training and Mayweather has been somewhat idle. Pacquiao looks like he is a locked to be the head of his native land and I think we will see him in this office in the near future. Jay P. Granat, Ph.D. is a psychotherapist and the founder of http://www.stayinthezone.com. He has written several books and developed several programs to help people perform to their fullest potential at sports, at work and at school. Dr. Granat, a former university professor, has appeared in The New York Times, Good Morning America, AP, ESPN, Golf Digest, The BBC and The CBC. He can be reached at info@stayinthezone.com. His books include Zone Tennis and Get Into The Zone In Just One Minute. He is also the author of How To Get Into The Zone With Sport Psychology And Self-Hypnosis, How To Lower Your Golf Score With Sport Psychology And Self-Hypnosis, 101 Ways To Break Out Of A Hitting Slump and Bed Time Stories For Young Athletes. Golf Digest named Dr. Granat one of America’s Top Ten Mental Gurus. He was recently featured in a documentary film on long distance running. Dr. Granat writes a weekly column for three newspapers. NextFHM Philippines: NEWS: Top Gear Philippines’ Augmented Reality Issue out today!